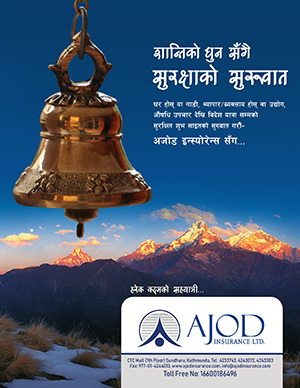 All is not well with Nepal’s economy. The trade deficit that doubled in the first four months of the current fiscal year is a testimony to this. 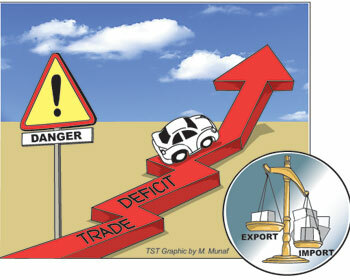 If necessary measures are not taken to reduce the widening trade deficit, the national economy may collapse one day. However, the government seems to be doing nothing to rescue the economy. According to Nepal Rastra Bank, Nepal’s trade deficit doubled in the first four months of the current fiscal year, as imports surged following a significant jump in consumer demand after the end of the Indian blockade. Nepal’s trade deficit widened to a startling Rs277.13 billion in the period under review, as against Rs140.03 billion in the same period a year ago, the latest macroeconomic report of the Nepal Rastra Bank showed. “Following the end of Indian economic blockade, the massive rise in import of consumer items, including vehicles, aggravated the country’s trade situation,” an NRB official said. Over the review period, the country’s imports jumped 87.4 percent to Rs301.65 billion. However, exports saw a slow growth of 17 percent, with export earnings standing at mere Rs24.52 billion. The government’s inability to boost exports is blamed for the deficit. The government has failed to implement the trade and industrial policies introduced to boost exports. The government has been relying heavily on import duties for revenue. The low base rate of last year’s trade balance is blamed for the whopping rise in trade deficit. Due to Indian blockade, Nepal witnessed a fall in both import and export by 36.8 percent and 29.1 percent, respectively, in the first four months last year. This led to narrowing of trade deficit to Rs140.03 billion from Rs703.48 billion of the previous year. Similarly, imports from China increased by 72.7 percent, and export earnings rose by 36.6 percent to Rs 519.7 million.